Student debt is no small problem, but colleges can take the first step toward addressing it. How is it that this problem has become so large so quickly? How do we fix it? Is this as big a problem as people claim? For the past 30 years, colleges and universities have been increasing their sticker prices at rates substantially greater than the rate of inflation. Consequently, as a percentage of family income, college is significantly more expensive now than it was a generation ago. Contributing to the problem has been the stagnation of family incomes for all but the most affluent families. As a result of flat incomes, families have saved less for college than in previous generations, forcing more of them to rely on borrowing (“How America Saves for College 2013,” Sallie Mae, February 26). The recession of 2008, which dramatically reduced the net worth of almost all families (primarily because of the housing crash), eliminated the practice of borrowing against the value of the family home to cover college costs. Finally, public institutions have seen their state subsidies drop by an average of 32 percent in the last decade, forcing them to inflate their prices to make up for the loss of state support. Colleges and universities have to stop increasing their prices at a rate higher than inflation. In a year when inflation was less than 2 percent, Brown University, for example, just announced a 4 percent price increase for the next academic year. Brown justifies this action because of a flat return on its investments this year (conveniently ignoring a 19 percent increase the previous year); on the standard “we have to pay to attract and retain top talent;” and with the excuse that some of the increase will be used to create more financial aid (effectively, a tax on the more affluent students to generate the funds to subsidize the less affluent students. But isn’t that what the endowment is for?). This country absolutely must resolve the growing level of maldistribution of wealth, wherein a tiny fraction of the populace has the lion’s share of the nation’s wealth. Until the bottom 80 percent are relatively more wealthy, college costs for their children will remain a daunting challenge. We must hope that a painfully slow economic recovery, with unacceptably high unemployment (and underemployment), will eventually lead to greater tax revenues, allowing states once again to provide reasonable subsidies to public institutions. Of these, by far the easiest to address is the first: colleges and universities simply must keep their price increases below the rate of inflation. Collectively, we are denying more and more young people the opportunity for a brighter economic future by forcing them to assume unreasonable levels of debt, or by driving them away from higher education entirely. It is unconscionable. It is antithetical to our collective commitment to educate our citizenry. It is against America’s economic interests. And it is unnecessary. Why do I say it is unnecessary? Because the two forces that are driving price increases are trivial relative to the damage resulting from the increases. What are those forces? No market resistance. It is another measure of the paradoxical nature of higher education finances that even as the great majority of families struggle to afford to send their children to college, there is no shortage of applicants to the most expensive private institutions. Indeed, in a world that believes “you get what you pay for,” a very expensive college must also be very good – and reciprocally a less expensive college must not be as good. Moreover, as a parent, I am making a statement about my social status when I send my child to a very expensive college (just as when I buy a Lamborghini). So if the most expensive schools still have an abundance of applicants even after raising their prices, there’s really no reason for them to stop doing so. Keeping up with the Joneses. Of course, there aren’t enough really rich people in this country to populate more than a handful of top schools (Sidebar: Are they top because they are expensive, or are the expensive because they are top? ), so the rest of the colleges and universities have a problem. For them, market resistance has suddenly become very real, and they must determine their price point to balance affordability for a large enough share of the market to ensure generating sufficient applicants, while simultaneously ensuring that they are keeping their prices consistent with their competitors – a lower price might be interpreted as a sign of an inferior product. So the sticker price keeps going up, even as institutions struggle to redirect an increasing percentage of their operating budgets for financial aid. We know, from survey data, that a majority of prospective students pass over institutions with sticker prices higher than what they feel they can afford – without ever learning if the college in question would structure an aid package that might in fact be affordable (Inside Higher Ed, March 1, 2013). This situation is in no one’s interests. It is time to stop the madness. It is time to get off the merry-go-round. It is time for colleges and universities to focus less on maintaining their ranking, and more on the interests of the students and their families. Roger Williams University has frozen its tuition for all current students and students entering in the fall of 2013. And we have guaranteed their tuition will not rise for the next four years. It’s time we had some other colleges and universities join us. Next time: Part II, where we discuss how big the student debt problem really is. 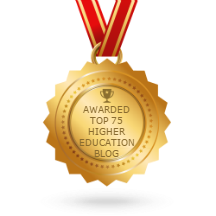 ©2019 Higher Ed in Crisis – A President’s Take. Powered by the Get Noticed! Theme.